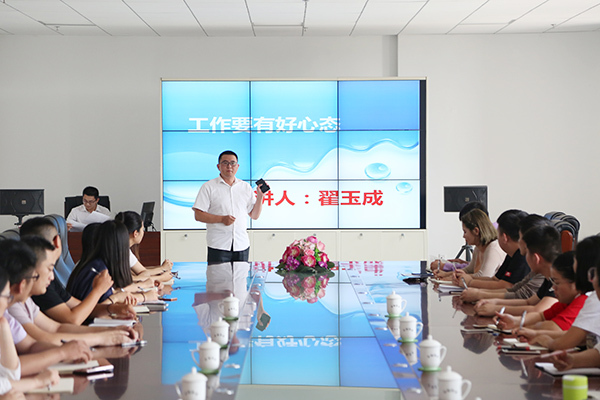 In order to better enhance the business communication ability of the e-commerce team, on the afternoon of May 26th, China Transport's e-commerce team business communication skills training class started in the conference room on the second floor of the Shandong Coal Group office building. 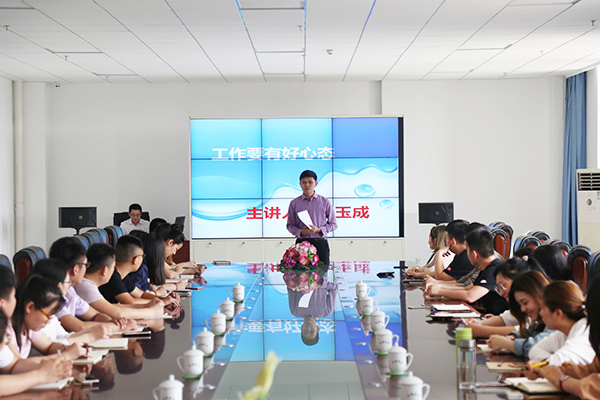 More than 40 employees of China Transport e-commerce company participated in the training. 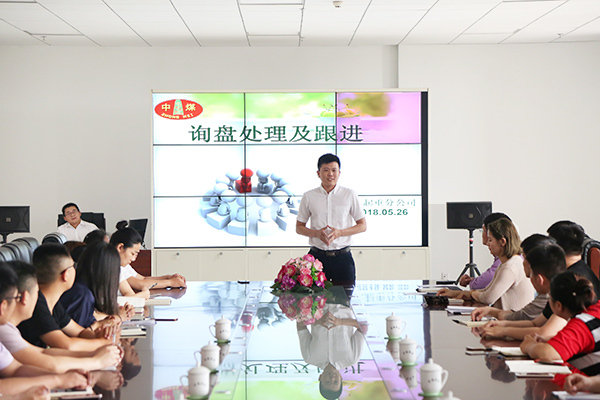 The training was presided over by China Coal Corporation Head of Human Resources Department Yan Hongru. 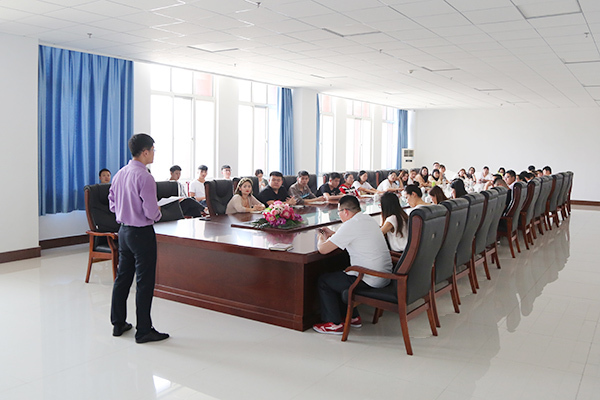 The training course was led by Shandong China Transport’s E-commerce Team Business Managers Yu Yucheng and Zhu Wei. In the training class, the Manager Zhai shared the experience and practice from the aspects of sales communication skills and sales mentality with everyone.He carried out case analysis and discussion on relevant issues often encountered in the work, and proposed solutions to related problems.Then, the Manager Zhu made a detailed analysis on how to screen inquiries, make inquiries, follow-up inquiry methods and quotation techniques.The content of the entire course is rich and pertinent, which greatly improves the overall business communication ability of the e-commerce team, and everyone has benefited greatly.After the training, China Transport Deputy General Manager Group Yu Cui made a concluding speech. The learning of this training course will make everyone more directional and skillful in future work. It also inspired them to open up their customers' enthusiasm and made everyone feel confident about their future career development. Everyone said that they will definitely live up to the expectations of the leaders of the group, and grow together with China Coal. 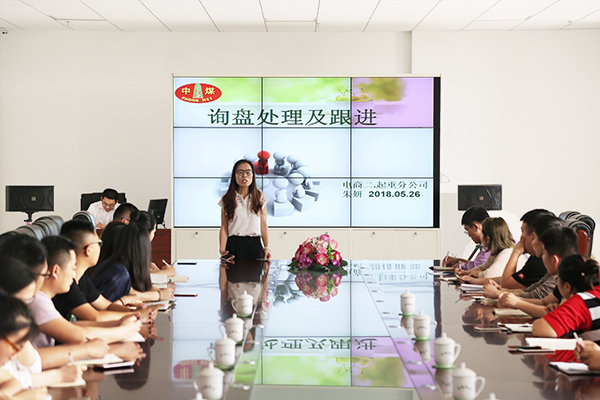 They will do their job with a high sense of responsibility and rigorous work attitude, and contribute their energy to the development of China Coal with high work enthusiasm and active learning attitude.